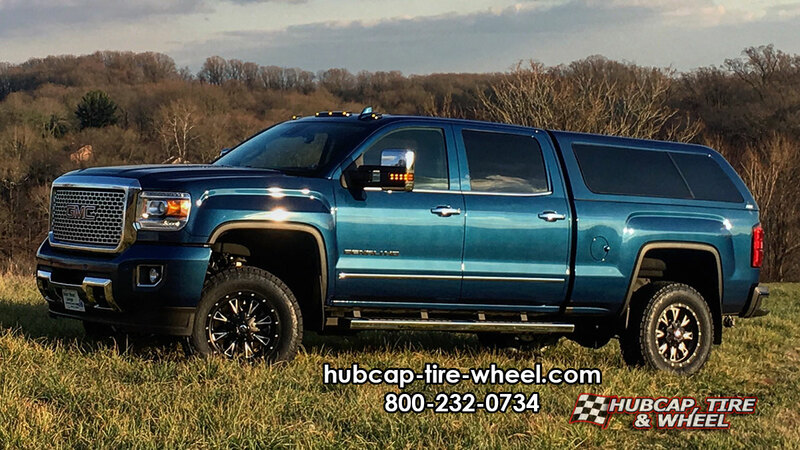 Take a look at our customer’s blue 2016 GMC Sierra Denali 2500 HD with 18×9 Fuel Throttle D513 Rims & Nitto Terra Grappler G2 tires. This truck came out great. 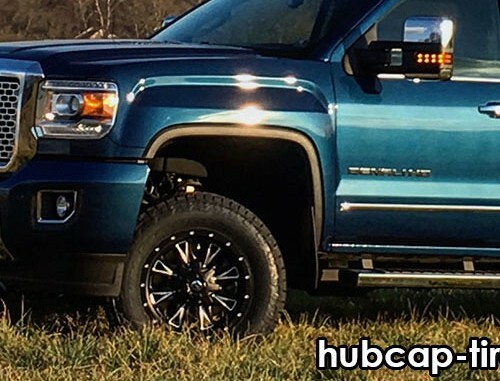 We really like how the black Fuel Throttle wheels match up with the blue color of our customer’s GMC Sierra Denali. Fuel is one of the top brands in the wheel market right now. They have been around for years but year after year they keep out doing themselves with not only style but quality too. One of the most common questions I get asked is which wheel lines should I look at? There are about four brands that come to mind right away for trucks and one of them is Fuel wheels. You can search around on the internet for their reviews and they are outstanding. In fact, half our employees here at Hubcap, Tire & Wheel have Fuel wheels on their truck. If you want more information regarding this set up or want to put custom wheels on your vehicle and have fitment questions, please call us: 800-232-0734. There is a lot that goes into correct fitment when choosing wheels and tires and our wheel and tire experts know their stuff. With over 100 years of combined experience they are eager to take your call to help you out. There is no question too small or large for them. We are so confident in our experts that we offer guaranteed fitment for your wheels and tires or your money back, no questions asked. Keep in mind we also offer FREE shipping for any wheel or wheel and tire package as long as it’s shipped to anywhere in the continental U.S.